The residence of the Consulate-General is located in a listed building dating back to 1935, with a prestigious position at the Hamburg Elbchaussee. 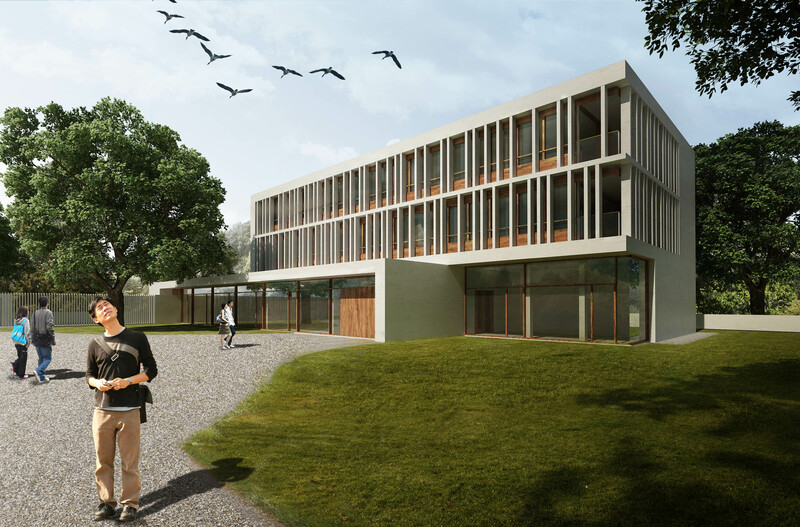 The three-storey extension, which will be constructed as a separate building in the rear area of the park-like grounds, is intended to broaden the use of the existing Consulate and replace the existing visa office. An open courtyard will provide access between the old building and the new. The location, height and modest design of the new building emphasize its secondary role to the older building at the front. 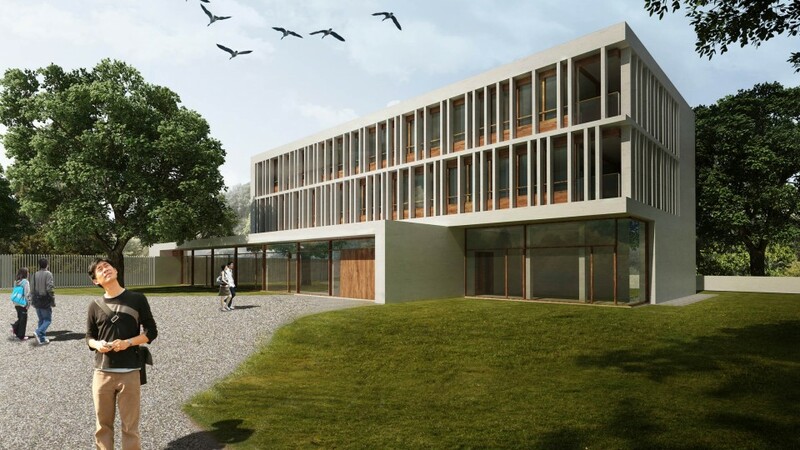 The simple design concept of the new structure invokes the materials of the older building, with white plaster surfaces and brown wood characterizing its contemporary appearance. The three-storey extension features white, closed facades, floor-length white facade slats in front of dark parapet windows, and large, floor-to-ceiling, glazed areas on the ground floor. The new building contains offices, including the visa office, a conference room and two guest apartments. The visa department is accessed through a separate entrance controlled by a porter. Access to the internal offices is through the courtyard located in the consulate grounds. The back offices of the visa department and the conference area are located on the ground floor. Further office space as well as a three bedroom guest apartment are planned for the upper floors.